As an Automotive Mechanical Engineer, Les’s background involves more than 30 years’ experience in various fields of the road transport industry both in Australia and overseas. Between 1995 and 2013 Les was employed by the Queensland Transport Department (QT) and Transport and Main Roads (TMR). As the Principal Engineer, he was responsible for assessing new vehicle combinations, developing technical standards, policies and guidelines for vehicle use, access and management. 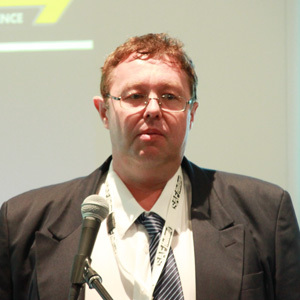 In his current position as Chief Engineer at the National Heavy Vehicle Regulator (NHVR) he is managing the end-to-end operation of the Performance Based Standards (PBS) Scheme within the NHVR including the review and assessment of PBS applications and leading the strategic development and improvement of the PBS Scheme. Les is also involved a large number of special projects related to heavy vehicle productivity, access, safety, regulations and on-road operations.